"The standard you walk past is the standard you accept." Australian Chief of Army Lieutenant-General David Morrison made that uncompromising statement in 2012, with respect to a series of sexual assault scandals then rocking the Australian Armed Forces. It's a phrase which should be carved into every manager's desk. Workplace bullies thrive where management fails to pull them up on their toxic antics. In addition to the Left’s affinity for those it sees as weak, humans are generally biased towards protecting females. As mentioned before, this likely evolved because males are biologically disposable and because women are generally more cooperative and areeable than men. We have extensive government and Google programs, fields of study, and legal and social norms to protect women, but when a man complains about a gender issue issue [sic] affecting men, he’s labelled as a misogynist and whiner.... Nearly every difference between men and women is interpreted as a form of women’s oppression. As with many things in life, gender differences are often a case of “grass being greener on the other side”; unfortunately, taxpayer and Google money is spent to water only one side of the lawn. The cod-evolutionary biology relied on by the anonymous author is a pile of tosh. Furthermore, it is a pile of tosh with a long and murky pedigree, which feeds directly into both white supremacism and misogyny. The Oscar-nominated 2016 film Hidden Figures does not merely show Katherine Johnson, Dorothy Vaughan and Mary Jackson as extraordinary and talented individuals, though they undoubtedly were. It showed how close their extraordinary talent came to being lost to NASA (and to the world generally) as a result of precisely the sort of blinkered racism and sexism which the Google employee's manifesto encourages. Furthermore, had these women not managed to struggle past the barriers thrown up by racism and sexism, it is highly probable America would have lost the space race. We simply cannot know how many discoveries and developments have been lost to the world because of the bigotry, tunnel vision, gate-keeping and sheer petulance of people such as the author of the Google "manifesto." Women have always been at the centre of computing. The first compiler was developed by Admiral Grace Hopper. Film star Hedy Lamarr co-invented the Markey-Antheil process for spread-spectrum frequency hopping, which underpins modern mobile communications technology. From the time it was coined in the late 17th century right up to the early 60s, the era of Hidden Figures, the term "computer" was used to mean a person who was engaged to provide precise calculations to support scientific or engineering processes. Women found themselves in that role from an early period, whether officially or unofficially. In 1773, John Edwards was engaged as one of the Board of Longitude's thirty-five computers, working on the Nautical Almanac. Before Radar and GPS, the Board's Nautical Almanac was an essential navigational tool for both Naval and merchant shipping, and required highly precise calculation of the moon, sun and planets at different times of day. On her husband's death in 1784, Mary Edwards revealed she had in fact been doing his calculations for years, and petitioned to be allowed to continue as a computer in his place. Not only did the Board of Longitude appoint her, but after her death in 1815 her daughter Eliza took over as a computer. The pattern of a woman having credit for her work taken by men, whether with her consent or without it, is a major factor in women's invisibility in STEM. Claude Shannon, for example, who wrote ground-breaking papers on computing and created the first mouse, collaborated extensively with his wife Betty whom he met while she was working as a computer at Bell Labs. Betty Shannon was never cited as a co-author of her husband's papers. Accordingly, the author of the Google "manifesto" is ignoring the historical presence of women in IT, ascribing to biology what can far better be attributed to social limitations, and contributing to a potentially hostile working atmosphere. It comes at an especially bad time for Google, who are being investigated by US Department of Labor for alleged gender disparities in remuneration across the board. This is not something peculiar to Google. Silicon Valley as a whole is under pressure for its treatment of women and minorities, with sexual harassment claims against Uber, GitHub and numerous others..
With up to 60% of women reporting sexual harassment in the tech world, it even dwarfs the shocking figures reported from women at the Bar in England and Wales two in five of whom reported harassment. What will be needed to deal with sexual harassment in the tech world is the same approach advocated by David Morrison. It cannot be left simply to women and minorities to defend themselves. Not only should white men in tech refrain from harassing and discrimination themselves, they should keep an eye out for it and help by vocally checking it whenever they see it. "The standard you walk past is the standard you accept." 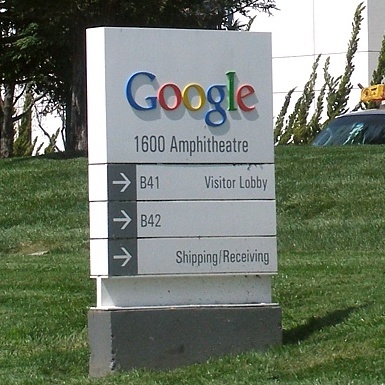 The main image used for this article is: 'Google Welcome Sign' and was used under the terms detailed at the above link on the date this article was first published.